What a refreshing voice. Finally, someone who knows what it's all about. Thank you for your interest in contacting our Restaurant Reviewer/Raconteur, Jerry L. Nelson. Mr. Nelson is currently traveling up and down the proposed Trans-Fat Corridor visiting with family and friends for the Holidays. Upon his return I will ask that he post the best way for you to reach him here on the Comment Page. Our best to you for the New Year. 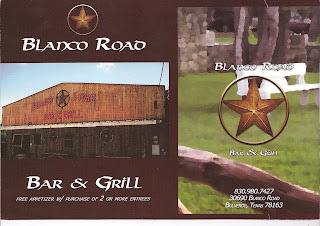 I have just stumbled upon your review...I would like to invite you and your friend back to Blanco Road Bar and Grill. The business has recently been sold and I am the new Manager. 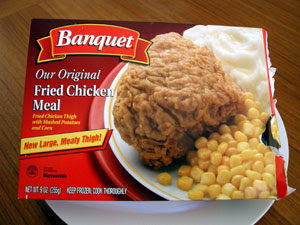 We are very sorry to hear about your last visit and would love you to review our new menu items. This invite includes: Appitizer of your choice, and Dinner for Two. Although we are not Burger King we will cook your burger the way YOU LIKE to eat it. We have a great friendly staff and live music on Friday and Saturday Nights. I have spoken to Jerry L. Nelson and we definitely will find a time to come and try another meal at the Blanco Road Bar and Grill now that it is under new management. Thank you for letting us know about the changes.